It seems fairly evident that one day the uncanny valley will be left behind, and technology will be able to provide visuals to rival or even surpass reality. This may even be possible in the very near future. For the moment, however, technology falls just short, stuck deep in the uncanny valley, offering up hollow stares, awkwardly-pointed cheekbones, and oddly off-kilter mouths spouting their ill-fitting dialogue like actors in a badly-dubbed Godzilla movie. Games that attempt a realistic approach to character design and environments tend to hold up poorly over time. 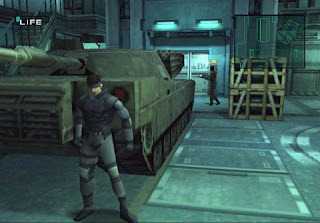 Looking back at older games once revered for their incredible modern graphics and realistic character models is always a strange experience: what looked amazing to us when we were younger looks strange, blocky and off-putting when compared to the most recent games. Games like Final Fantasy VII and Metal Gear Solid, games that wowed with their visuals in the original Playstation era, look fairly ridiculous now. 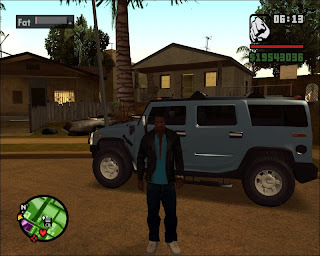 Even more recent games like Grand Theft Auto: San Andreas look bizarre when compared with last year’s Grand Theft Auto IV. Of course this is true of most games: more recent technology yields better graphics, but this is particularly evident with games that choose a realistic style over a heavily stylized artistic take. On the other hand, games that embrace the technical limitations of their times and settle on a visual style that makes the best use of what is available tend to look good years and years past their creation. Castlevania: Symphony of the Night uses a pixel-based art style that suits its story and gameplay beautifully. 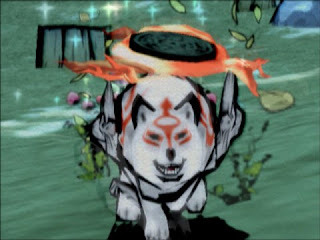 Okami still looks incredible, despite being a last-generation game, because it chose a painterly style reminiscent of Japanese watercolor over a more realistic approach. Nintendo has been using their artistic design and bold color schemes in Wii games like Super Mario Galaxy and Metroid Prime 3: Corruption to make games with stronger, more appealing visuals than many of the games released on the more-powerful Xbox 360 and PS3. In five or ten years time, those games will still look good, while “realistic” games like Call of Duty 4 will likely seem dated and unattractive. I’m always glad to see game developers learn from the mistakes of others. I’m not saying that games should avoid realism entirely; I like to see how close we can come from time to time. But when the next, more realistic game comes along those games become instantly outdated. Look at the difference between Fallout 3 and what we’ve seen of Borderlands: two devastated landscapes with two completely different visual styles. 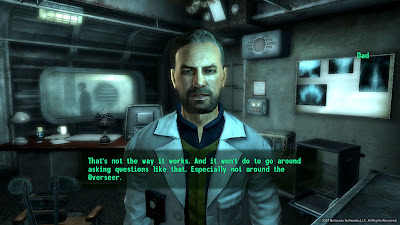 Fallout 3 looks fantastic and does a great job of conveying a fairly realistic yet ruined version of the world we know, but the character models still look like strange, near-human automatons. The people behind Borderlands made the risky choice of changing their art style completely fairly late in the development process, and that decision was the best they could have possibly made. Instead of releasing a fairly generic looking shooter, their game has a beautiful, comic-book-like quality to it which makes it infinitely more appealing. 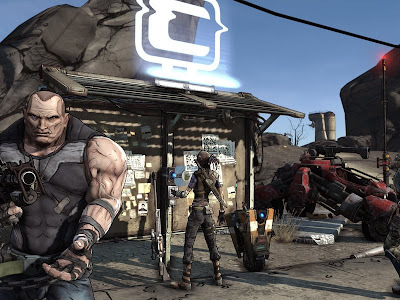 And ten years down the line, Borderlands will still look great, even when Fallout 5 is showing us how much more realistic it is than all that has come before. So let this be a lesson to you, developers: make something that looks closer to reality than the last game, and you’ll wow the audiences of today. Make something that just looks great, and you’ll impress audiences for years and years to come. I agree with your general thesis here but i would Omit ff7 from the dated looking games category. Not because it's got a special place in my heart but because I would argue that all the squaresoft style RPG's of that time benefitted from the use of pre-rendered backgrounds. and while the characters themselves might look dated (though I would say appropriately cartoonish) the backgrounds and landscapes retain their painterly vivid integrity. They're still beautiful because they're simply images that don't rely on the hardware of the console. FFX, on the other hand, with it's in-game rendered enviornment looks completely dated and almost ugly nowadays. I've always loved pre-rendered backgrounds. it's like playing a game on a work of art and I think they should still be employed in some areas today. I agree with you on this topic. I prefer stylized games over realistic games because they always stand out to me more. I get drawn into games like that more than games that attempt to look realistic because whenever you find something that looks off you lose that feeling of being part of the game. In a stylized game, everything is off, so you can't get pulled out of the game's universe because that whole universe is already off. I always end up with a closer attachment to stylized games in the end.